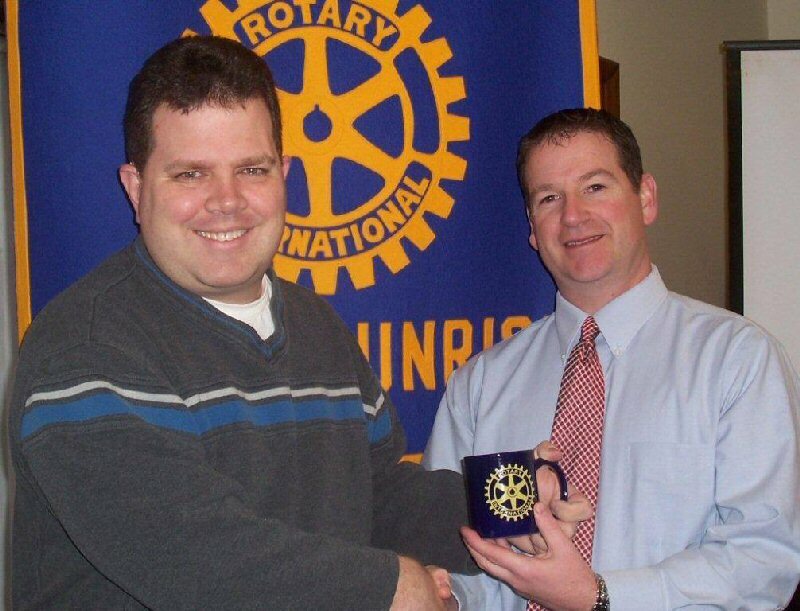 FULTON, NY – At a recent Fulton Sunrise Rotary meeting, Rotarian Dan Farfaglia introduced Chris Ells, Athletic Director for the Fulton City School District. Chris shared his philosophy which is to get as many students invested into school activities as possible. He gave an overall view of the activities of the Athletic Department and the upcoming events such as Friday Night Lights, a wrestling competition which had more than 300 competitors last year, the adult swim program at Granby School and an Adult Division of minor league football. Fulton Sunrise Rotary meets every Friday at 7 a.m. at Fulton’s Riverside Inn.